A track leading to the summit of Lodestone, a peak north of the popular Mt Arthur. The easiest route follows the 4WD track from the Flora carpark to Flora Hut. Here the track to Lodestone turns north and immediately starts climbing the ridge opposite the hut. 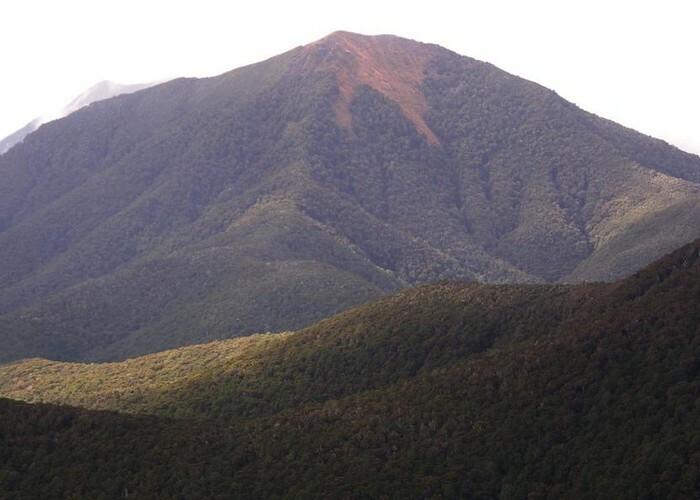 The track follows the ridge and then climbs steeply out of the bush, to the summit (1462m). From the summit the track descends steeply and then follows another ridge back to Flora carpark. This loop can be done in the opposite direction but from personal experience I would recommend the route explained above. In winter the near vertical track above the bushline is often covered in snow, and can be treacherously slippery, so care should be taken. Mt Lodestone • By bernieq. Licence: cc by-nc-sa. Added 2 September 2007 by JordanmJordanm. 1 revision 2 April 2011 by iangeorgeiangeorge. 158 views in the past year (13 per month).